Oftentimes when working with the lesbian, gay, bisexual and transgender communities, the "Q" or word "Queer" and "Questioning" are referred to just as an appendix letter to the other four. 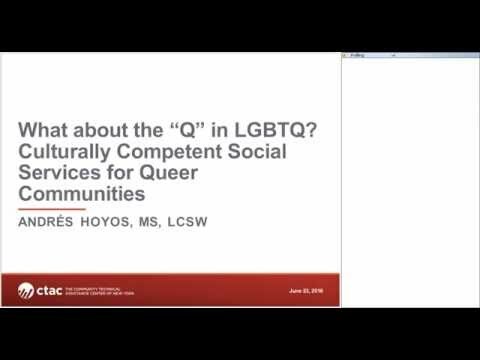 This webinar will explore the unique opportunities and challenges related to this community and provision of social services for those who are queer or questioning. Concrete steps that providers and agencies can take will be given to promote more culturally competent services when working with these communities.